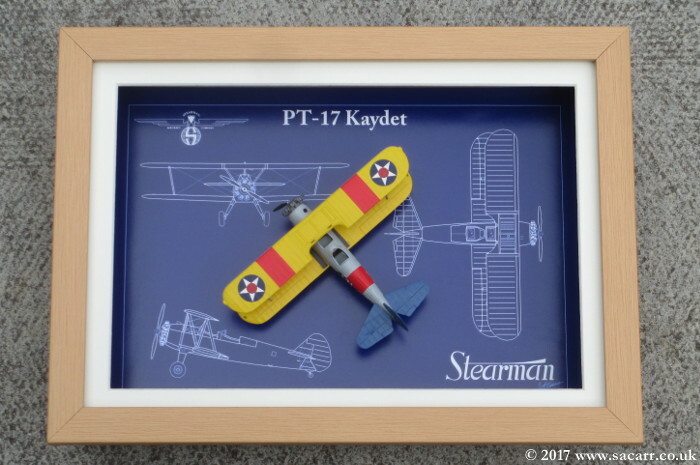 The original idea behind the Aviation Model Art style of presentation came about from a model making project with my daughter. 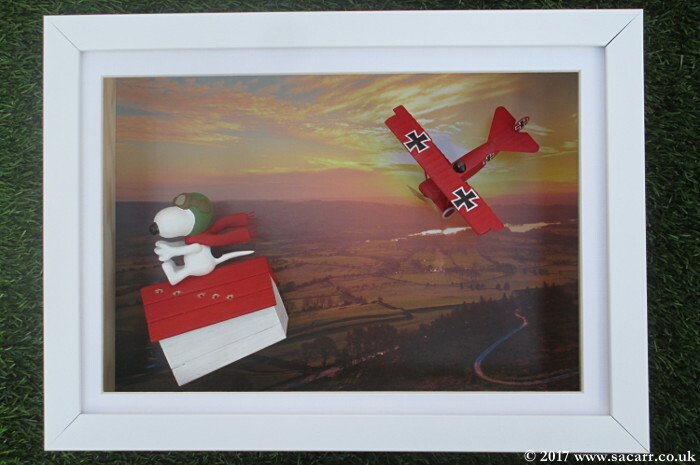 We were building a "Snoopy verses the Red Baron" diorama, but needed a way to keep the dust off the models and also protect them from damage. A model under a glass case help to keep the dust off, but would still need shelf space which we didn't have. Instead I chose to use a 3D box frame to house the models. 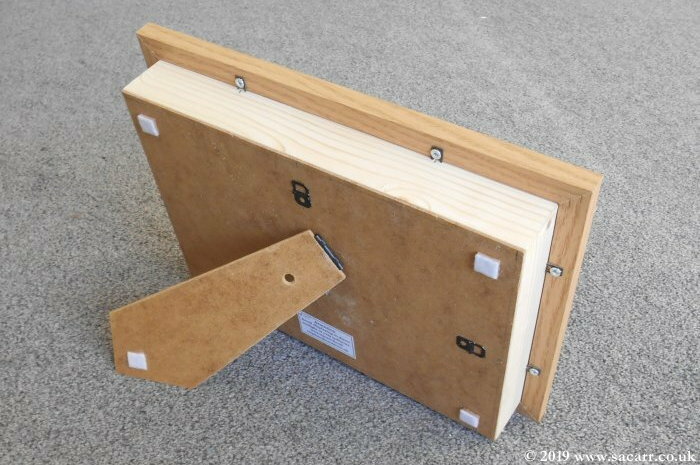 This would protect the models, keep the dust away, allow a nice background picture to compliment the models and it could be wall hung out of the way. 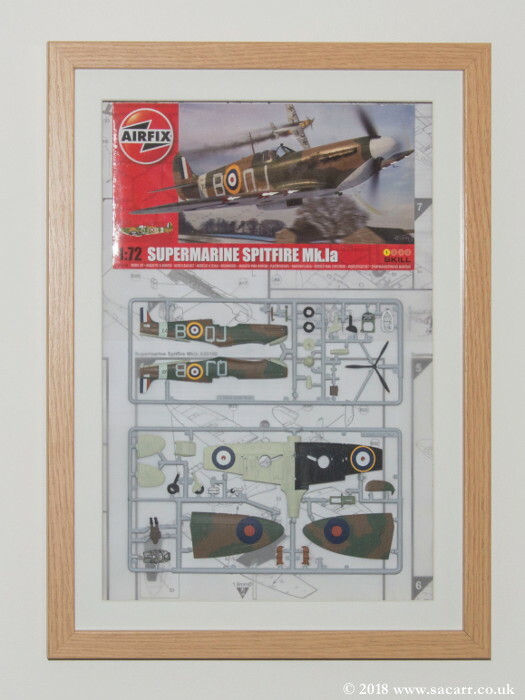 The finished model can be seen to the right and now hangs proudly in her bedroom. 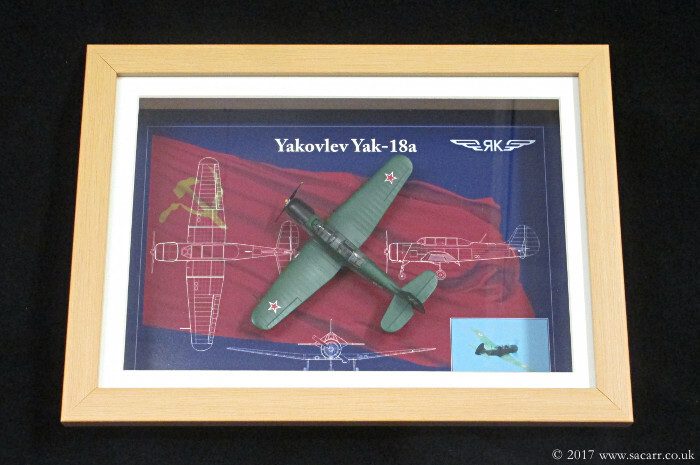 I built a few example models which were taken to a local aerojumble where I sold a few. 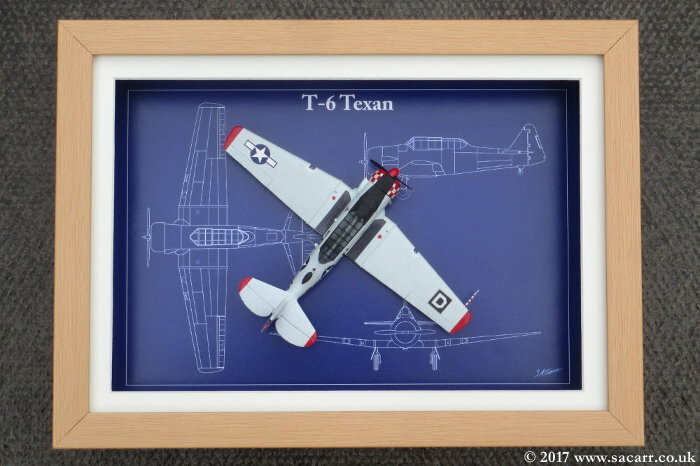 I also took some orders for models with custom schemes, based on the pilot's own aircraft. More orders followed those. Developing the theme, I also experimented with models that were displayed unbuilt, still on the sprue. The models were fully painted, with decals applied and were displayed with the box art and kit instructions as a background. 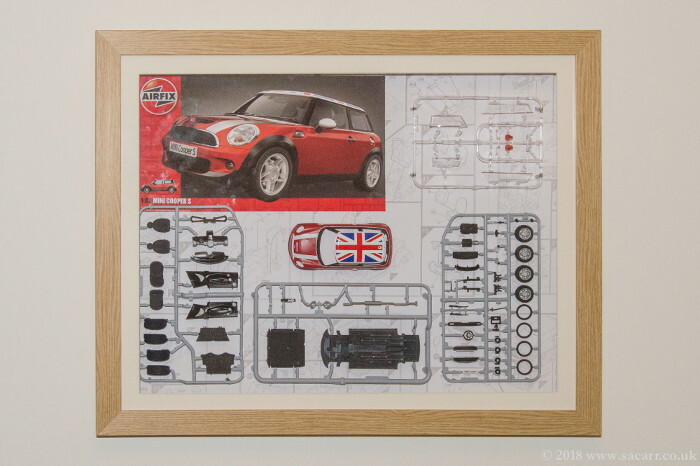 Typically, they are in an A3 sized frame which is around one inch deep. 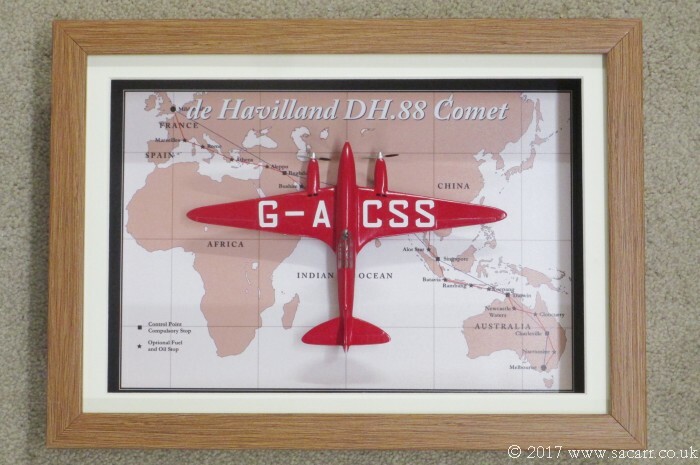 These presentations have also proved to be popular amongst those with nostalgia for their childhood pastimes. 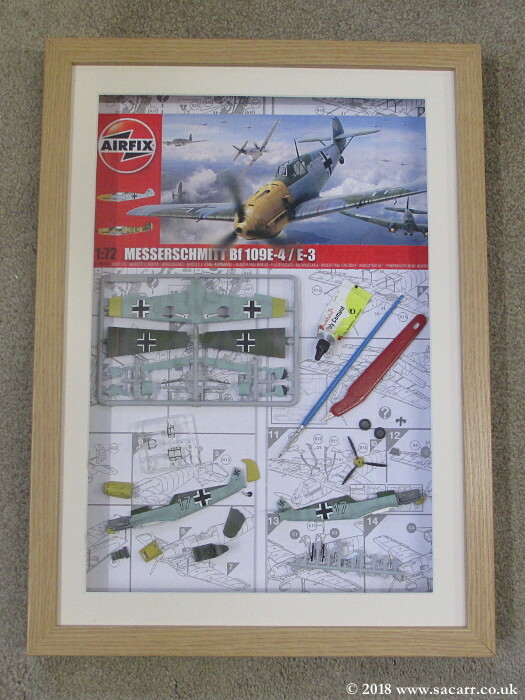 A Messerschmitt Bf109E was presented in a part built state, as if caught on a modeller's work bench. 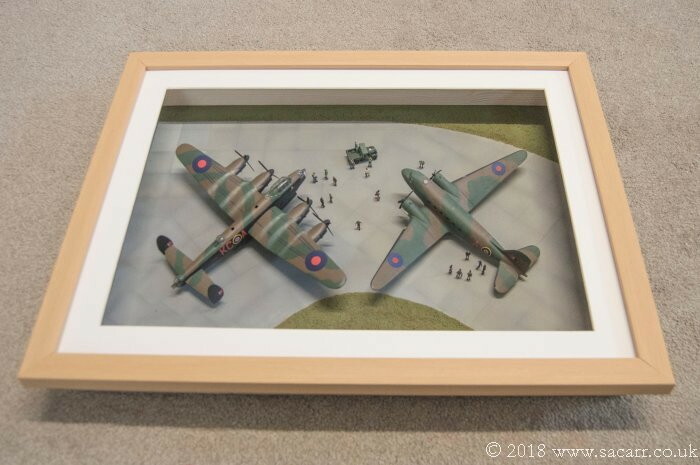 I have also made a few dioramas in A3 frames, such as the 1/144 scale Battle of Britain Memorial Flight picture and the A4 framed 1/35 scale Jeep in a crate. 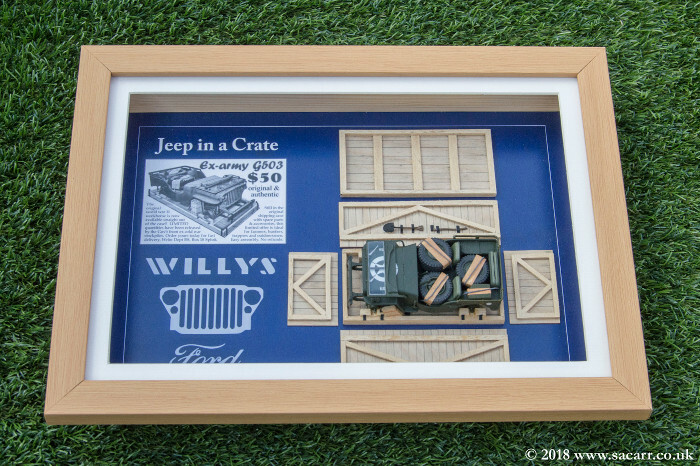 More recent A4 frames also have a stand so they can be displayed on a desk or hung on a wall.